Overwatch recently picked up some buzz when a key character, Tracer, was confirmed canonically queer in the Christmas comic, but did you know you can see that issue and nine others in animated form? Blizzard’s wildly successful Overwatch is perhaps best known for its frenetic and fast-paced first-person shooter experience with incredibly varied yet balanced characters (the game’s quality lead to it taking Game of the Year at the Game Awards 2016). Overwatch’s narrative — or lack thereof — is found in mostly hidden backstories of its characters, only revealed in-game through sparse bits of dialogue. But there’s also animated character shorts and a really good series of comics. The ten animated versions of the comics — produced by Madefire Studios — are viewable on Battle.net, the website for all things Blizzard. What the “animated” experience amounts to are pans and zooms of each individual comic panel as each caption and speech bubble pops up in the order they’re meant to be read. You also get poignant sound effects as the stories progress coupled with official music you’ll recognize from in-game. In many cases, the accompanying score does some heavy lifting with the story, all making for an engaging read that’s 100 percent free and 110 percent awesome. Hear the fire and feel the panic as Symmetra deals with an explosion. Especially for fans of the game that haven’t dabbled in the comics yet, this is the definitive way to do it. Each issue tends to hone in on a single character and show what they’re up to in the present day along with what sort of companions they spend their time with. 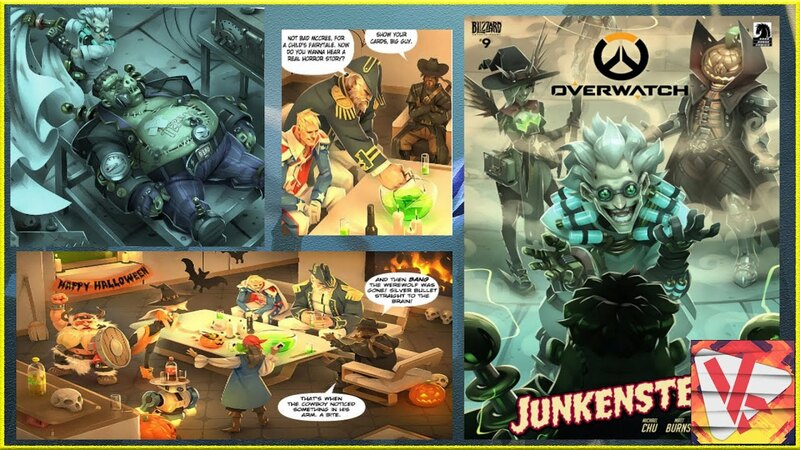 You can see everything from the brand new “Reflections” Christmas issue where you meet Tracer’s girlfriend to the beloved Halloween-themed “Junkenstein” tale that was so prominently featured in the late-October holiday event. You can see Reinhardt’s obsession with currywurst, Roadhog and Junkrat’s attempt at “Going Legit,” Symmetra’s efforts to make the world a better place, Pharah being a hardass but veritable badass squad leader, Torbjörn taking on a giant mech, and more. Perhaps the easiest method for viewing these digital animated issues is by clicking on the individual links in this Reddit post, but arguably the most fun is had by downloading the Madefire app to your phone or tablet and downloading the issues individually. So brush up on your Overwatch lore as you continue on through Competitive Season 3 and try to track down all those dope Holiday character skins.